Many of you know that I LOVED Between Shades of Gray. 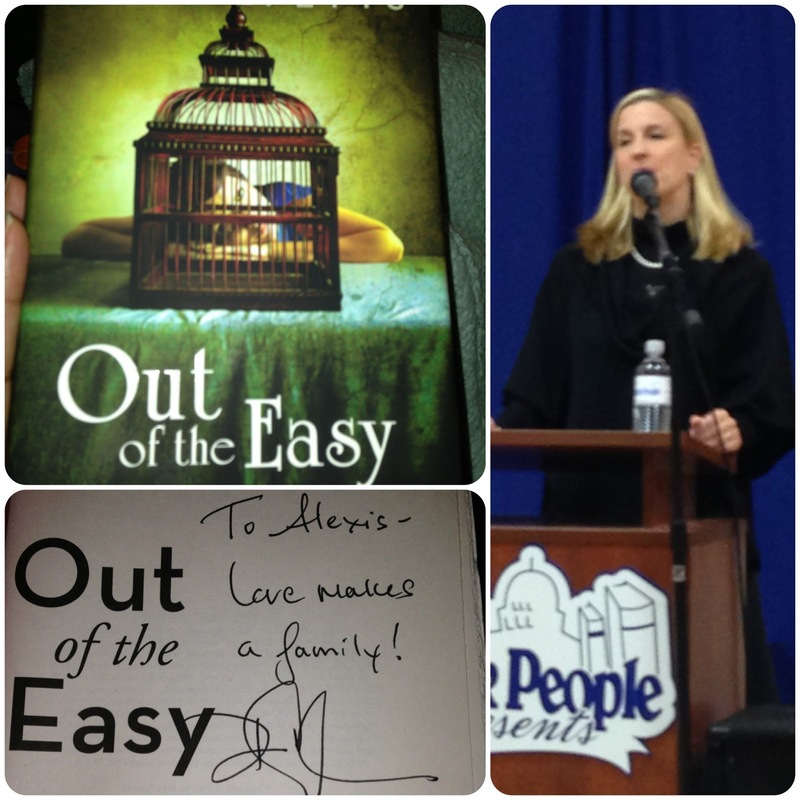 When I heard that Ruta Sepetys had a new book out called Out of the Easy, I was intrigued and excited. 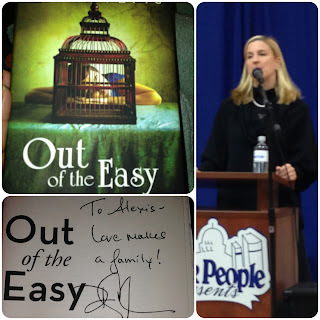 When I heard that Book People was hosting her at a book signing, I became fangirl ecstatic. So I went. I gushed. I bought goodies. I've got some videos for you. Perhaps. Still not the best since I just don't get this video on an iphone thing. Oh wells. I hope you like anyway. 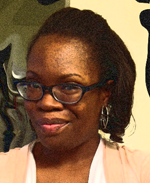 On her mischaracterization of the 1950s and the inspiration for Out of the Easy. Oh too cool! How exciting! What an interesting video too. I didn't want it to end. I find I want to hear more about her parent's experience too. She tells so much more. Her parents' experience was so enthralling it didn't seem real. I was going to pass on this one, but I'm thinking after this I might try it. Thank you. She has a very simple writing style that has high impact. I've yet to start this one but I have high hopes and I've been hearing great things. I love the gifs you used!! Believe it or not, those are my first gifs EVER! Oh, I am so jealous you got to meet her ! I am reading Out of Easy right now and I'm really enjoying it. I have to keep that second GIF handy for when something amazing happens ! I haven't started it yet. 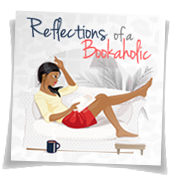 I'll probably pick it up in the next read-a-thon. I want to savor it. Lol - I like how you decided to shake things up with the GIFs. :) And awesome job with the video! I've never thought to do that but there's a Julie James signing next week and I may have to follow your example. On a separate note, my mom's book club just read this one and she can't stop talking about it. I've had so many students read it too that I know I am way overdue for a read. I'm planning on reading it at the next readathon. I'm super excited. The GIFs just grabbed me. Lol. They are addictive so I have to use with moderation. I have yet to read anything by this author, but I know I must, because everything I hear is so flail-y and good! She's great at creating a lasting impact. I'm so jealous! I've read both of her books and loved them. Oh I haven't gotten to the second yet. I'm kind of saving it for a moment, you know.